We are in the year 2049, humanity is hanging on by a thread, having destroyed the world. Cities are overcrowded ruins, decaying as they stand, bustling with people who have never seen what the world they live in used to be like. Man has gone to great lengths as far as technology goes, too far some would say, as somewhere in the 21st century artificial humanoids were created to work as slaves in off-world colonies, to quote: ‘’Every civilization was built off the back of a disposable workforce.’’ They are called replicants, and as with anything that has an inkling for humanity, they rebel, escape from their colonies and come back to Earth, but that was back in 2019. Surely the predicament would have changed by now? 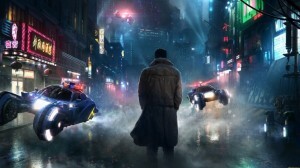 Director Denis Villeneuve’s sequel, ‘’Blade Runner 2049’’ is set 30 years after the 1982 movie where Rick Deckard, played by Harrison Ford, was a Blade Runner, a Los Angeles cop in 2019 that specialised in terminating replicants. In this new rendition, we follow a similar premise, picking up with a bioengineered human named K, who also has the task of being a replicant bounty hunter. The Officer unearths a long-hidden secret that poses a threat against the already fragile structure of their society – the body of a pregnant replicant, something that should be physically impossible. This discovery leads K on a quest to not only find former LAPD Officer Deckard, who has been missing for 30 years, but also on a road of self-discovery. In a sense, going into the movie, I had high hopes plot-wise and character-wise. However, this movie left me feeling somewhat underwhelmed and disappointed. The first thing that turned me away from the film was its dense, drawn out script, spanning over almost 3 hours. To fully grasp the meaning of the film, catch onto its minute details, one would require at least two or three viewings, which isn’t attractive to those with a short attention span. It’s difficult to follow if you’re watching without at least a small understanding of the general plot points throughout the film, which is disappointing, giving that the story is both interesting and thought provoking – just over-complicated at times. ‘’Blade Runner 2049’’ seems like a natural extension of the original film, rather than a lazy retelling, which is a bonus when compared to some of the hit and miss modern remakes of 80s classics. ‘’Blade Runner 2049’’ was visually stunning, that was one of the most stand-out aspects about the whole movie. The dark, dirty grittiness truly did give the film it’s wanted neo-noir vibe. The scenes of the streets of Los Angeles, the urban decay set the tone with colourful, neon holograms as a contrast to its decrepit surroundings. The cinematography managed to set the scenes well, gave us the overall feel of the movie. Aesthetically speaking, the film deserves full points. Taking a look at its characters, it the movie did little to venture beyond its white male protagonist. The plot circulates around Officer K, played by Ryan Gosling, so, of course, it would concern his depths and struggles, and his character is complex behind his stoic exterior, but that is practically the only emotional narrative we see in the film, and it’s lacklustre at that. Gosling’s character was forgettable and uninspiring, leaving little lasting memory in my mind. Joi (Ana de Armas), K’s holographic girlfriend, left the biggest impression on me. She seemed to be one of the more developed female characters in the movies. Armas brought emotion and vulnerability to the character, raising the question of how could the relationship between two non-human beings, machines appear so real? But then again, we were also left with the question if it was all a farce or not. Who says that her claims of loving him, weren’t just the machine doing its job and telling its owner whatever he wanted to hear? As far as the other characters go, they didn’t leave much of an impression. Many of the female characters were displays of common archetypes often seen in movies, they were shallow and underdeveloped, mostly used as a plot device for the protagonist. The villains were bland and unexciting. Nairn Wallace’s (Jared Leto) monologues felt drawn out and could have easily been cut from the movie to shorten its view time and pick up the pace of the plot. The film raised the question – what exactly does it take to be human? And we certainly should ask ourselves that when watching this film, make up our own assumptions.